Are you trying to offer an automatic discount based on the basket subtotal. Use this module for store-wide sales and high purchase discounts. Let us see, few scenario's based on the subtotal based product discounts. Discount rules -> Cart Discount Rules -> Add New Rule. Example 1: If the subtotal is $300 - $500 then product X is given as free. 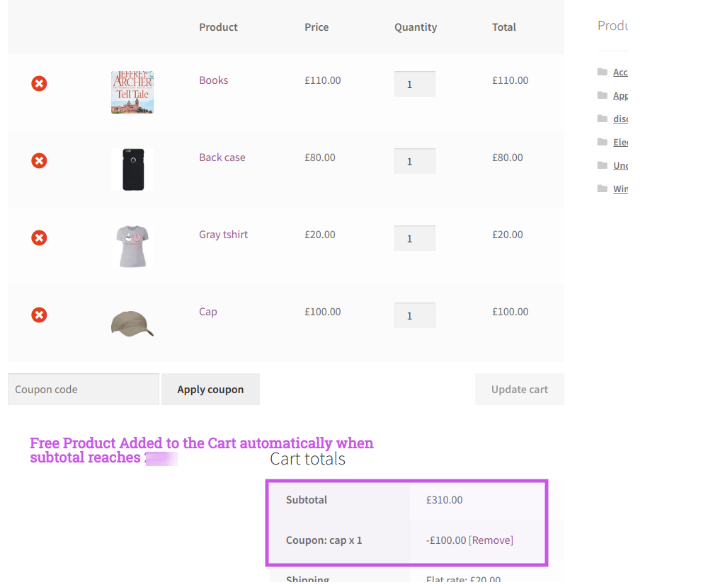 In the condition tab, add the subtotal amount and in the discount tab, set the adjustment type to product discount. In Discount tab, choose Product Discount (Free) and specify the product which has to be added as Free in the cart and the quantity. Here in this discount, 1 quantity of cap goes for free when the cart reaches $300 until it reaches $500. 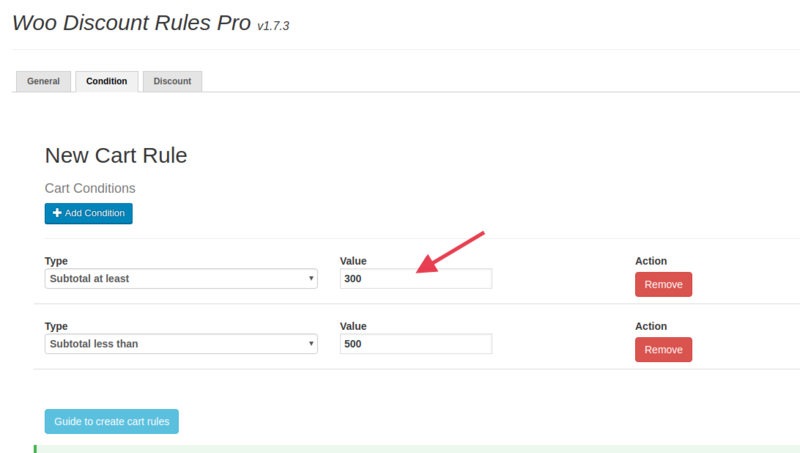 You can also create a Tiered product discount by creating multiple rules, that is a different product as free when the cart has above $500. When the subtotal is above $500, that is $501 - $600 = Product B free (1 quantity). When subtotal is above 601 - 1000$ = Get both Product A and Product B as free. You will have to create 3 different discount rule to achive this at stack. The Free quantity that you provide will take effect with all the products specified in the product selection. So, when the cart reaches 300$ then it automatically adds 2 quantities of Belt and 2 quantities of cap in the cart. If you are trying to provide a price / or a percentage discounts in the cart, then follow this guide -> Subtotal based cart discount. Just leave your question and email by clicking the Live Chat button below.